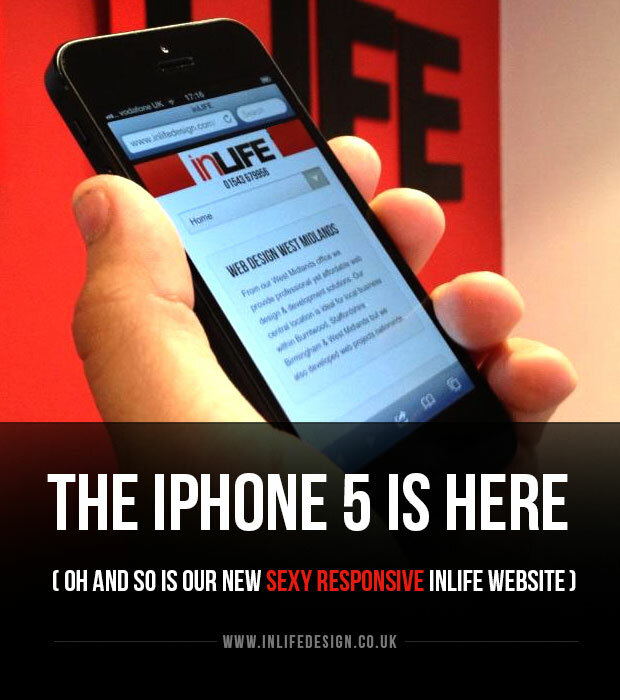 To celebrate Apple’s launch of the new iPhone 5 we have also launched our new responsive inLIFE Website today! Responsive design is all about the web responding seamlessly to individual devices. For example if you grab the edges of your current web browser window now and make it smaller you can watch our website respond as the screen size reduces. The new inLIFE site is now set to alter itself perfectly when viewed on everything from large HD monitors to the new iPhone 5. Although most websites are already viewable fine on these devices the difference with responsive design is that everything is adjusted to still be fully readable (without zoom) no matter what size screen you are using. Also specific elements can be added removed or changed to suite everything from desktop to tablet or smart phone. Responsive design is aimed to intuitively create an easier user experience no matter what device they are viewing from. As responsive web design also keeps all the current content and simply moves it around this also increases load times and eliminates the need for redirects. 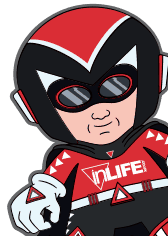 We will be showing further examples of responsive design at the inLIFE stand at the Drayton Manor Pop up show this week.